You will stay right in a wonderful neighbourhood with lots of shops, bars, cafes, and clubs. Supermarkets, laundry, real German bakeries, a park and even an indoor pool - everything is nearby. It takes only a few minutes to reach the beautiful Elbe riverbanks. The amazing historic centre and all main sights are only a 20 - 30 minutes walk away. Meissen, the castles Moritzburg and Pillnitz and the so-called „Saxon Switzerland“, a small but amazing mountain area and a real paradise for climbers and hikers. We offer you very clean and bright rooms from a low priced 10 bed dorm to en suite single and double rooms. Bed linen: 2,50 € once but obligatory. Me and my friends had planned Dresden as a bit of a midway day trip between Berlin and Prague and expected a chill night, but ended up being blown away by the city and the area that this hostel was in. Staff member Ramona was very helpful with finding great restaurants, sightseeing ideas, and nightlife in the city and we had an absolute blast. The beds were comfortable, the decor was great, even the showers were nice. Easily one of the best, if not the best, hostels I've been to. Great location, helpful staff, nice little kitchen and great showers. 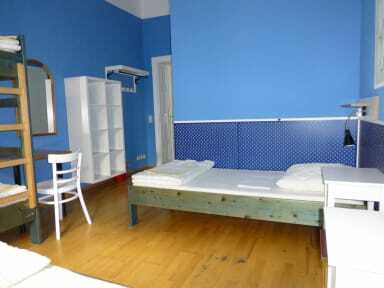 This hostel is in a great location of the city! Lots of things to do, breakfast for purchase downstairs, and also a bar to hang out at next door. I will definitely stay here my next time in Dresden. Thank you! 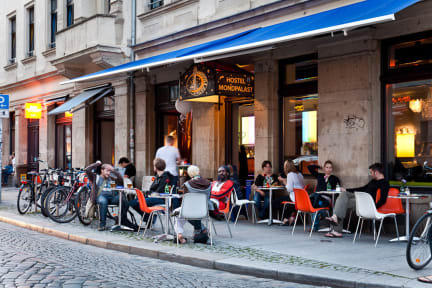 Best location in Dresden for bars, food and nightlife. Old town isn't too far. Nice forest for hiking north-east of the hostel. Hostel has very cosy lounge and bar. In my room there was a socket for each bed. Staff are very helpful and know a lot about the location. Quite busy and popular place but adds to the great atmosphere. All was well, would have been nice though if the lockers they had were actually capable of being locked. clean (but rooms dusty in some spots like under bed etc). Great kitchen area with lots of tables for socialising. Smoking IS allowed in the bar which just ruined it for me- was a real shame I couldn’t hang out down there without breathing in smoke :( location was good - like 10 mins walk from tram. Showers seperate to toilets and are good. Food places and grocery store near by. 6 bed room was spacious. It was nice :) but I’ve heard there’s better hostels in Dresden. No ID checked during the check-in process. So when I was stolen/robbed, nothing could help me to find my stuff back. I know this is not the hostel's fault that some checked-in person turned out to be a thief, but if ID is checked or a camera is at the reception could deter the thief. In addition, the shower in the bathroom isn't very good. The room, at least the 2nd floor was better than the 3rd floor.